Investigators from the Medical College of Georgia (MCG), reporting on new findings at the American Association for Cancer Research Annual Meeting this week in Atlanta, found that levels of a gene which helps the immune system differentiate the good cells from the bad, could be a good indicator of prognosis in people with colorectal cancers. Looking at 15 genes known to be associated with colorectal cancers—eight associated with lower survival rates and seven with higher—the researchers found that one gene, CCR4, was present in higher levels in patients with a good prognosis, even in those diagnosed with late stage disease. The gene is part of the chemokine family, which is involved in trafficking the body’s white blood cells, which then fight off invaders. Through genetic analysis, MCG researchers found that patients with higher levels had responded better to treatment, had more incidences of remission and lived longer, says second-year MCG student Chance Bloomer. Bloomer worked with Ravindra Kolhe, M.D., a molecular pathologist and director of MCG’s Georgia Esoteric & Molecular Laboratory, to design the two genetic panels—one that he hoped could be used to predict good outcomes and one for poorer outcomes. They started by combing through cBioPortal for Cancer Genomics, which houses large-scale cancer genomics data sets. 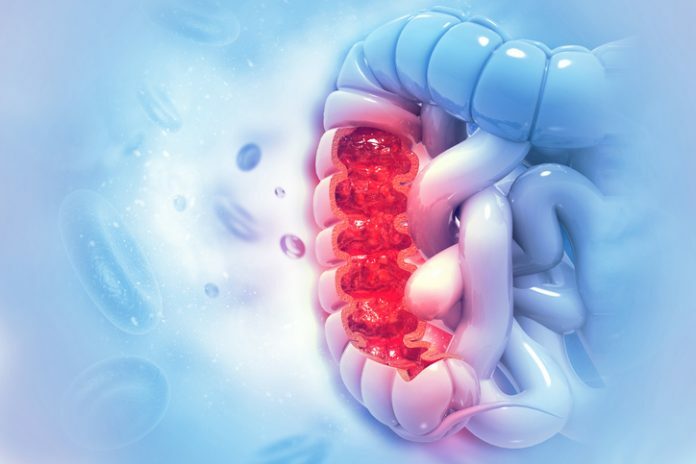 Bloomer started with nearly 800 genes—all with known and strong associations to cancer progression—and narrowed those down to 38 with significant associations to increased or decreased survival rates for colon cancer. He narrowed the group further by grouping those with similar mechanisms – whether they were involved in immune system response, rates of tumor growth or treatment response, for example. “I wanted a holistic approach that looked at tumor genetics and how these genes worked,” he says. After settling on an eight-gene panel he hoped would help determine decreased survival rates, and a seven-gene panel to determine better survival rates, they analyzed tissue samples of 750 colorectal cancer patients from the Georgia Cancer Center. Patients were grouped by tumor stage, determined by using its size and/or whether it has spread; whether they survived less than or more than three years; tumor grade, a measure of how quickly it is likely to grow and spread; and age—over or under age 76. While the entire panel did not work as well as Bloomer had hoped, increased levels of CCR4 did show multiple significant associations with better prognosis, even in patients with stage 4 cancer. Patients with stage 3 cancer and better survival rates also had higher levels of CCR4 than those with stage 1 tumors and poorer survival rates. Young patients with better survival rates also had higher levels than those with worse survival rates. Bloomer conducted his research in Kolhe’s lab as part of the MCG Medical Scholars Program, which offers MCG students the opportunity to engage in research activities—basic science, translational, clinical, and educational—in close mentorship with faculty who are nationally and internationally distinguished scientists, clinicians, and academic scholars. Most students carry out their research training for a 10-week period during the summer following completion of their first year of medical school.